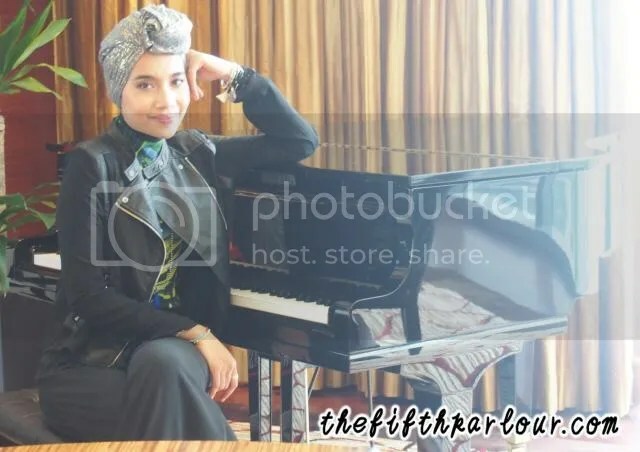 Last week, Malaysian singer-songwriter, Yuna, was in Singapore for the Singapore International Jazz Festival. The beautiful and talented lady is not only known in Asia but in the US too as she has been discovered by Indie-Pop record label in US and worked with the Grammy award winning producer and performer, Pharell Williams. Other than busy with shows, she is currently working on her third US album which is estimated to be out in September. For this album, she hopes she is able to include some Malay songs as compared to the previous albums. 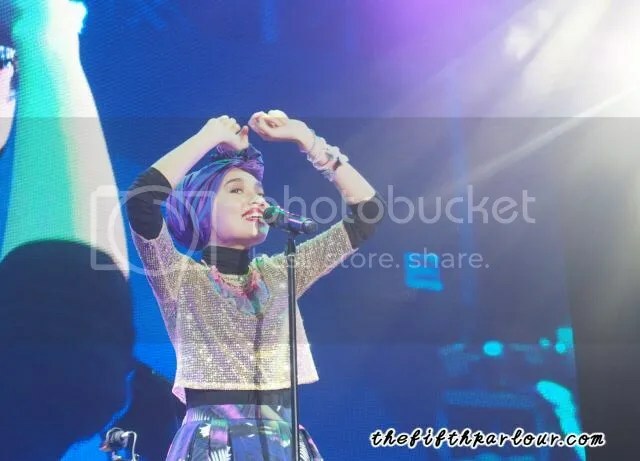 Jetlag is not a stranger to Yuna since she flies back as often as possible to visit her family back in Malaysia. 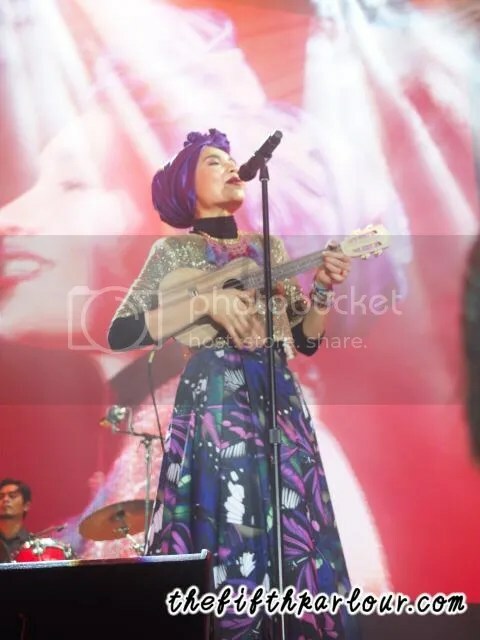 Yuna revealed that after her performance in Singapore, she is flying back to Ipoh to visit her grandparents for a couple of hours before flying back to LA. That’s how close her relationship with her family. So how does she keep up with jetlag and her busy schedule? Yuna felt that it is easier to believe that there is no time zone and it is important to stay healthy. One also needs to be smart in putting things together so more work can be done. While waiting for Yuna to perform, someone, not local, asked me about Yuna, “She’s Malaysian right? So does she always perform in Malaysia?” After answering his questions, i saw him dancing and clapping along to the songs. Her swinging hand gesture and swaying managed to dazzle the audience’s attention. Most of the songs performed were from her NOCTURNAL album. Her style fits her personality on stage. One of the songs performed, Favourite Thing, was dedicated to her mother, who was in the audience that day. Thanks to her mum’s never ending support, Yuna is grateful and thankful that she has achieved thus far. As she sang Deeper conversation, I was reminiscing her early years when I saw her audition in Youtube. Look at her now, she is a successful recording artist! I was really impressed by her performance and totally felt each and every song that is being written. It is really amazing how her music can break through not just in Asia but also in the US music industry. We, at the the Fifth Parlour wish her all the best in her career and hope she and her family will always be strong and healthy and get to see each other during free time. We are excited for her upcoming album! Meanwhile, do check out fun facts about Yuna and what she likes to do during her free time! 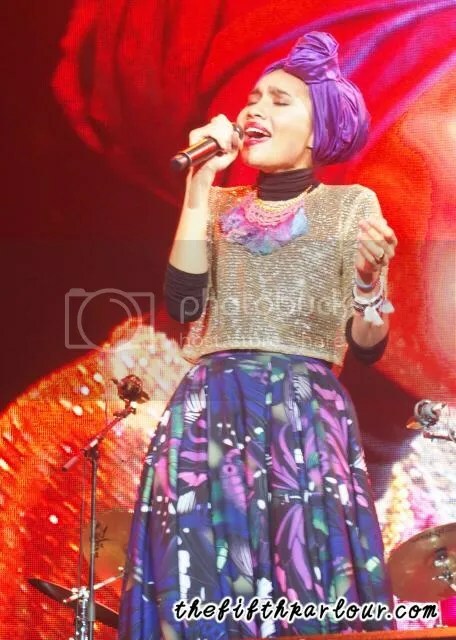 Stay updated to Yuna on her Facebook Page, official website, Twitter and Instagram. The Fifth Parlour would like to than Yuna for the interview and Tessa and her team for coordinating the interview.